Growing up, I confess I wasn’t exactly a Disney princess fan. My quirky, nature-loving childhood self could relate to the mud-wallowing jungle creatures in The Lion King, but unattainably beautiful women in spectacular dresses with castles and suitors? Not so much. Disney princesses who are also Earth and environmental scientists, though, I can totally dig. 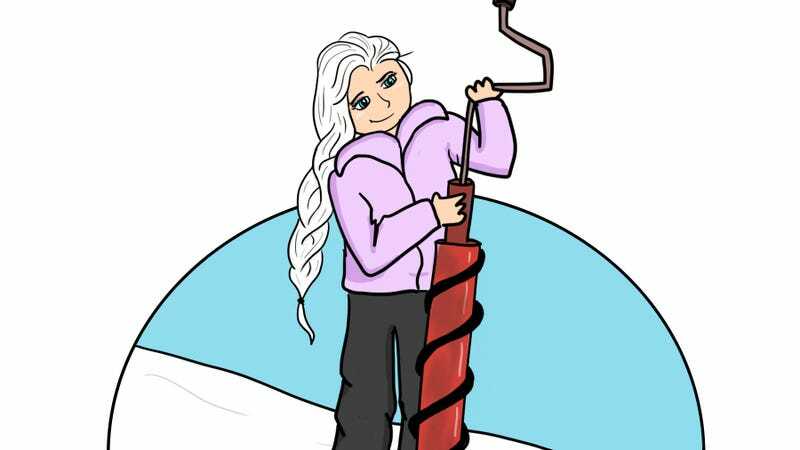 These smart, schist-loving heroines are the invention of artist and science communicator JoAnna Wendel, who’s re-imagined five of Disney’s most beloved princesses as oceanographers, glaciologists, and more. Wendel, who was until recently making science comics for the American Geophysical Union, told Earther the idea came to her about a year ago as she was thinking about the various ways Disney princesses have been reimagined over the years (the zombie princesses are a delight). Frozen’s ice-controlling Elsa? A glaciologist, naturally. Brutally cold days spent coring the West Antarctic Ice Sheet would be nothing for her. Aladdin’s Jasmine? An atmospheric chemist—after all, who among those studying Earth’s ozone layer wouldn’t kill for a magic carpet to assist in taking measurements? Princess-warrior Mulan was a bit trickier “because her story wasn’t so obviously about an environment,” Wendel said. Eventually, though, she landed on paleontology, China being home to many of the world’s best fossil beds. Plus, Mulan’s dragon sidekick sort of looks like a dinosaur, right? The Earth and environmental sciences still have a lot of work to do becoming more inclusive toward women (and especially women of color). Showing girls the familiar image of a Disney princess holding an ice core or a rock hammer may seem like a small thing, but giving kids role models and heroes they can imagine themselves as goes a long way toward breaking down barriers. As for whether there are more environmentally-minded princesses to come? Wendel needs to find the time to work on it, but she’s got some more ideas in the bag. Princess Moana, she said, is going to be a volcanologist.